Scientists at the University of British Columbia searching for ways to slow the deterioration of blood vessels may have stumbled on to the key to youthful skin. The researchers were investigating the effects of a particular enzyme called Granzyme B on blood vessel aging, but they noted something unusual at the end of the study. Mice that had been engineered to lack Granzyme B had perfectly smooth skin, whereas regular control mice were showing signs of age. Could it be that inhibiting this one enzyme is the key to keeping skin youthful and wrinkle-free? Granzyme B is an enzyme, but more specifically it’s a serine protease. That means it’s capable of breaking down other proteins. It is produced and secreted by immune cells like NK cells and cytotoxic T-cells. It has a variety of functions in the body, but its release by immune cells is also associated with breakdown of the extracellular matrix (ECM). This is the network of proteins and aggregated molecules that fill the space between cells. This may end up being one of the main triggers of visible skin aging. To test their hypothesis, the team did another experiment with the same type of engineered mice lacking Granzyme B. The mice were exposed to a few minutes of UV light several times a week alongside a control group of mice that had normal Granzyme B expression. You can probably guess what happened. After 20 weeks, the mice without Granzyme B still had pristine, wrinkle-free skin, whereas the control group was starting to show wrinkles. 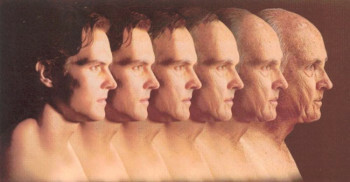 The researchers believe the skin aging effects of Granzyme B come from its activity in the ECM as mentioned above. It interferes with the structural integrity of collagen, which is the main structural protein in the human body. When the collagen of the ECM is lost, skin wrinkles begin to develop. Sunlight increases the levels of Granzyme B because of its use by immune cells. When your skin cells are virus-infected, damaged by the sun, or develop pre-cancerous mutations, most of them are destroyed by the immune system without you ever knowing. Granzyme B secretion is one of the ways immune cells cause other cells to self-destruct, a process called apoptosis. So it would make sense that levels of this enzyme go up after sunlight exposure. If we were to use Granzyme B as a target for anti-aging, we’d have to come up with a better way than completely removing it from our DNA. The laboratory mice had no Granzyme B, but it’s an important component of the immune system. Removing all of it would probably result in a plethora of less than desirable consequences. The researchers suggest the use of natural and synthetic inhibitors of Granzyme B (there are a number already known) as a topical treatment after excessive sun exposure. It might be possible to prevent collagen in the skin from being broken down without interfering with the overall job of the immune system. Beyond the purely cosmetic applications, it’s possible that Granzyme B inhibitors could prevent scarring and damage from photosensitivity diseases of the skin. The team is also still investigating its original analysis of Granzyme B’s role in blood vessel aging, which could lessen the risk of aneurysm.